There’s little doubt that tattoos have become more popular in recent years. Where body art was once confined to a small sub-section of the community, people of all walks of life are now using ink for self-expression. The same is true in the world of cycling. In the past, riders had to toe the line, to be presentable and clean cut (at least on the outside). Sponsors didn’t want Hells Angels wannabes on their roster. 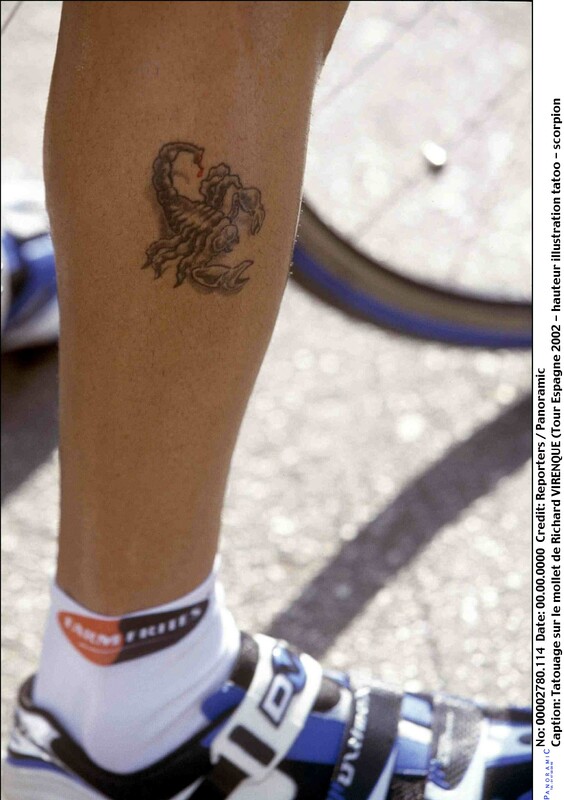 But these days tattoos are much more common in the peloton, both on the men’s side and the women’s side of the sport. Sure, there’s been the odd rider in the past with a tattoo, but let’s be honest: they’ve generally been pretty shocking. There was Richard Virenque with that scorpion he had on his leg. Or the case of David Clinger, a promising sprinter who signed for the Webcor team back in 2005, before deciding in the offseason to get a full-face Maori-inspired tattoo. Unsurprisingly, Clinger’s face ink didn’t go down too well with team management come the season’s first training camp. Clinger was told to undergo laser treatment to get rid of the tattoo, or he would be fired. And while a full-face tattoo still mightn’t go down to well today, attitudes have certainly relaxed when it comes to cyclists having tattoos. Walk around the pits of a professional men’s bike race and you’re sure to see the odd rider with a visible tattoo or two. And then there are the riders that have more tattoos than just the ones on display. Hidden under the team kit of some riders are amazing artworks emblazened across backs and chests. This is where Dutch photographer Wouter Roosenboom comes in. We’ve brought you some of Wouter’s work on this site in the past — in fact, he won the inaugural Mark Gunter Photographer of the Year competition in 2016. Like all the best photographers, Wouter’s photos show bicycle racing from a unique perspective. His work is more focused on emotions and detail than straight-up race action. He often has the chance to get up close and personal to riders with exclusive access to life behind-the-scenes, from the dinner table to the massage table. In Wouter’s coffee-table book “Scherp” there’s a whole superb chapter dedicated to the stories behind some of the tattoos that adorn those in the peloton. In his own words, Wouter takes us through a few of his favourite tattoos and what they mean to the respective riders. Religous themes run throughout Pozatto’s multiple tattoos. “I met Pippo Pozatto at a hotel in Maastricht where he got a massage. The likeable Italian permitted me to shoot all his tattoos on his body and the very special one on his back: ‘Only God can judge me.’ It’s a message to all the people trying to judge him by taking him at face value, looking at his hair or his shoes while they don’t really know him. Philippe Gilbert with his world champion’s rainbow stripes on his ankle. The Belgian won Worlds in 2012. If that shield doesn’t scream ‘true-blue Aussie’ we don’t know what does. Olympic rings mark Sanchez’s gold-medal-winning race from the 2008 Games held in Beijing. The question now is: will he have to get a little bit of laser treatment in the near future? The infamous showers of the Roubaix Velodrome. Koen de Kort shows off just a few of his tattoos. Though retired Gadret is worthy of inclusion in this gallery. Another look at Gadret’s sleeve. He may be retired but still attends a few races. We last bumped into him at the 2016 Tour de France. More family names are hidden under his bracelets. Who have we missed? Let us know (with a photo link) in the comments below. If you want to check out more of Wouter Roosenboom’s work, now’s the time. Christmas is coming and we can’t recommend his book Scherp highly enough.